Have you ever wanted to try something but haven’t wanted to spend the money on it in case you don’t like it? We’ve all had that experience, and it’s one of the reasons why we offer a free session of our Leicester martial arts classes. You get to see what it’s really like to attend, so you can make a decision on whether to book into a regular class. Plenty of people do once they know what to expect. Our free class is a great way to break the ice, not to mention giving you a chance to ask any questions you might have about the classes. We offer a variety of classes throughout the week, and the only day we’re not open is on Sunday. All you have to do is ask about our latest classes and when they’re taking place, and we’ll go from there. 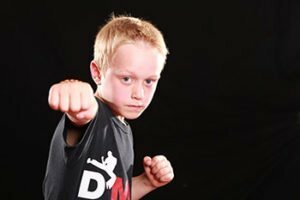 We also offer a free introductory class for Leicester martial arts classes for kids too. From Little Ninjas to kids kickboxing classes, we have plenty on offer for different age groups. We tend to split different ages into different classes as well, so it’s easier to find the right class for your child. And of course, if you need some expert advice on which classes would be best, we can provide that too. Unlike some clubs we won’t put any pressure on you to join either. We want you to have a great time and to realise just how much you have to gain from trying martial arts. However, we also recognise this isn’t for everyone. As such, if you find you’re not cut out for Leicester martial arts classes, you won’t have lost anything but an hour or so of your time. Why not book the experience today to find out more?